Your cable came last night. I’ve written to Stora asking him to send you on approval the Nmbg. ivoryBZ.1937.7. & the jaspe sanguine cameo,This cameo of Saint John Chrysostom has not been identified. In a letter to Robert Woods Bliss, dated December 26, 1936, Maurice Stora described the cameo as “I camée jaspe sanguine, XIIe siècle, dont on demande 25,000 francs français.” (Blood jasper cameo of the 12th century, for which 25,000 French francs is asked.) Byzantine Collection dealer files, M. & R. Stora correspondence. which I think you’ll like. The MemlingThe Flight into Egypt, formerly attributed to Hans Memling, purchased by William Burrell, Glasgow, from Arnold Seligmann & Cie on December 29, 1936. I wrote about has already been sold—so there’s a temptation removed. 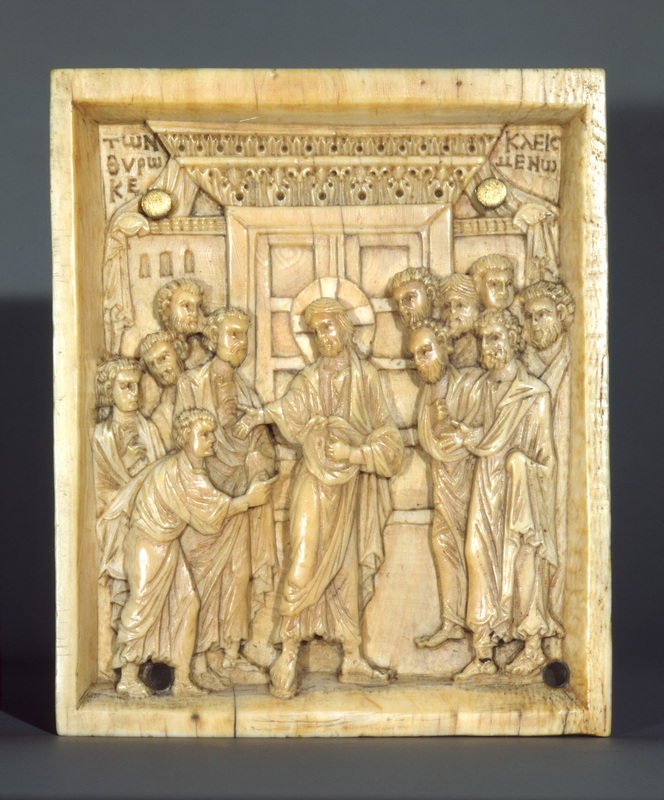 As to the other objectReliquary of the True Cross (Staurotheke), Byzantine, ca. 960, gold, gems, and enamel, Cathedral Museum, Limburg an der Lahn. I mentioned—which we might perhaps allude to as “Cheese”, I’ve been thinking it over, and I’m inclined to believe that the Roman friendWolfgang Friedrich (“Fritz”) Volbach. would be the best bet. He goes to the country in question from time to time, & he’s on good personal terms with people there—and his present connexion ought to help him with cheese. I think he might take the matter up with some chance of success—if it’s in any way possible—where as I, unknown as I am to the guardians of cheese, might find it a long and difficult job to gain their confidence sufficiently to start operations. Of course, I’ll do all I can to help. What has happened in the case of the Nbg ivoryBZ.1937.7. has suggested to me that other Byz. objects in similar places might also fetch loose. If you will authorize me to do so, I’ll talk to the Roman friend about that also—for he knows the collections & the officials well, and we might thus manage to make some interesting acquisitions without paying as heavy a rake-off as has to be paid to dealers. Please let me know immediately whether this last suggestion meets with your approval. I have the information that the Roman friend is honest. He’d of course want his commission, but perhaps wouldn’t be too greedy. We’ll soon see, & I’ll keep my eye on him.